We provide Meals on Wheels (MOW) to older adults who have difficulty grocery shopping or preparing meals for themselves. 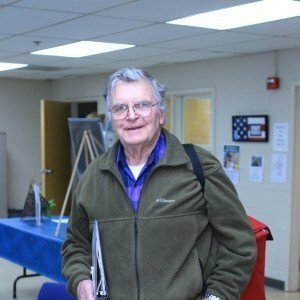 Our volunteers deliver nutritious meals to seniors Monday through Friday, and for those who need weekend meals, two additional meals will be delivered on Friday and may be kept in the refrigerator and heated over the weekend. 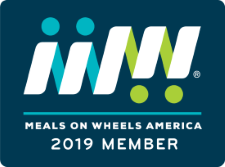 In addition, all seniors who receive Meals on Wheels will receive 3 “shelf stable meals” throughout the year which can be kept in their pantry for use on days when inclement weather makes it impossible for volunteers to deliver. Healthy Balance – Fits the needs of most seniors. It contains approximately 650-700 calories which includes the milk that is provided with the meal. Renal – For those clients dealing with kidney disease. Cranberry juice is provided instead of milk. Vegetarian – Does not contain red meat, pork, fish, chicken or other animal meat products. This is not a Vegan meal. Mechanical Soft – Appropriate for those dealing with mouth or neck issues. Food is easier to chew and less acidic. Pantry to You: In addition to our daily Meals on Wheels delivery, we partner with North Fulton Community Charities’ food pantry to provide nonperishable groceries to clients twice a month. Clients are given a list of items to choose from and volunteers deliver the orders on the 2nd and 4th Wednesdays of each month. This service is limited to clients who have a financial need and no consistent means of getting groceries.